When it comes to the wedding, we used to see black tuxedo or suit for the groom and white wedding dress for the bride. But there are different cultures and countries out there who haven’t seen or even heard of a white wedding dress. It is true that white wedding dresses are being used in most of the world but some people are very attached to their traditions and have deep-rooted ties in history like Japanese people so they still use their traditional wedding dresses. Regardless of the reason, it is very admirable to stick to your history and tradition and there is no rule to wear a white wedding dress, that’s why I decided to share some of those gorgeous wedding dresses I came across the Internet. Since I already mentioned Japan, why not start with them? Just like the rest of the world, the groom wears black but instead of tuxedo or suit, they wear kimono. Bride also wears white or rarely colorful kimono and along with a traditional silk hat called tsunokakushi. 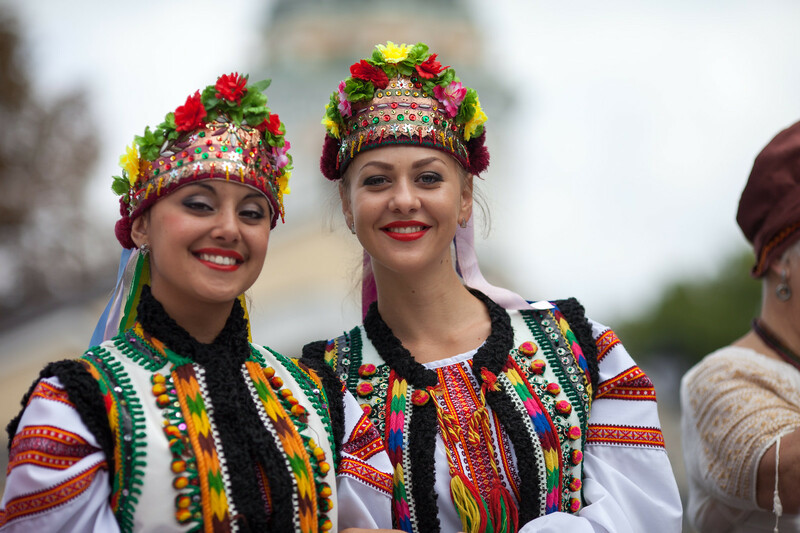 Just like Japanese people; Bulgarians, Slavs and Gorani people are firmly attached to their traditions. 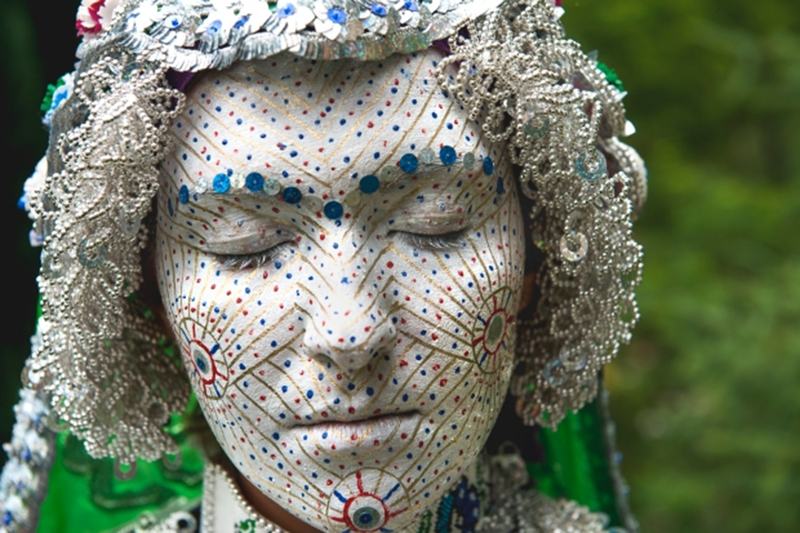 Apart from their decorated traditional dress, bride paints her face white and decorate with sequins. This island also known as Indonesian paradise and brides on this island wear colorful dresses on their wedding. These wedding dresses are made of a special fabric called “songket”, which can contain gold and silver threads along with silk and cotton. The size of the headdress indicates the wealth of the bride’s family and what social class they belong to. China is a home to different people with different cultures but even today people marry with long and traditional wedding ceremonies. Wedding dress of the bride usually consists of red, which symbolizes luck, and gold, which symbolizes (naturally) wealth. However, white color is always used in funerals so they never use white color in weddings under any circumstances. Even if people in the metropolis started to prefer modern white wedding dresses, people in the rural parts still go for the traditional dress in their weddings. Apart from traditional embroidered wedding dress, the bride also wears a special headdress made of flowers. This traditional dress is a must in Hindu weddings and called “sari”. Brides are able to choose the color they want but the most common colors are red, blue and green along with the fine details. Brides wear henna on their hands and feet with special patterns and it is believed that the darker the color, the more husband and mother-in-law will love the bride. 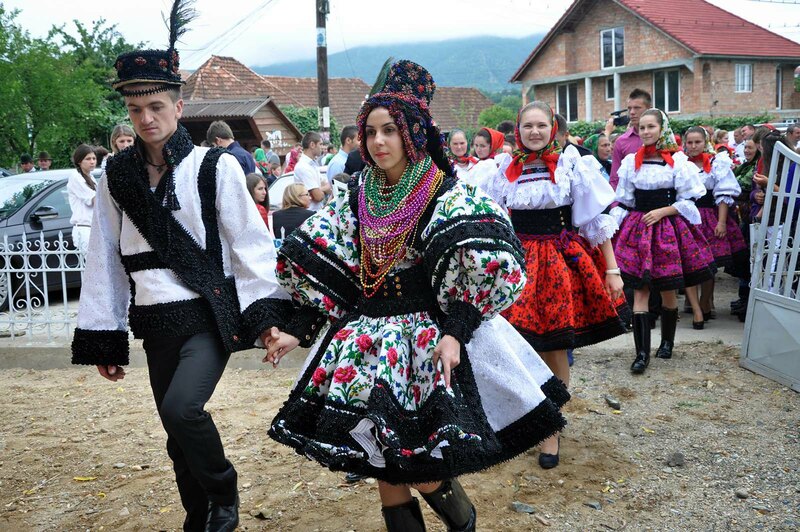 Romanians are still strictly attached to their traditions. Along with the traditional dress, the bride wears pounds of beads with different colors. 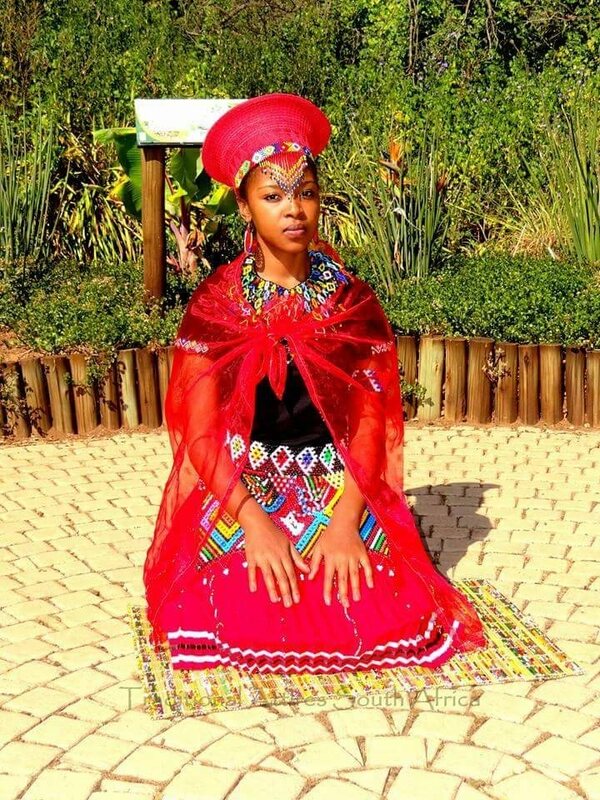 Traditional “Zulu” weddings are still widely accepted in South Africa and this special ceremony called “umabo” usually takes place just after the “white wedding” even if some couples prefer not to do the white wedding at all. Brides wear a colorful dress with traditional patterns along with rainbow-colored beads. 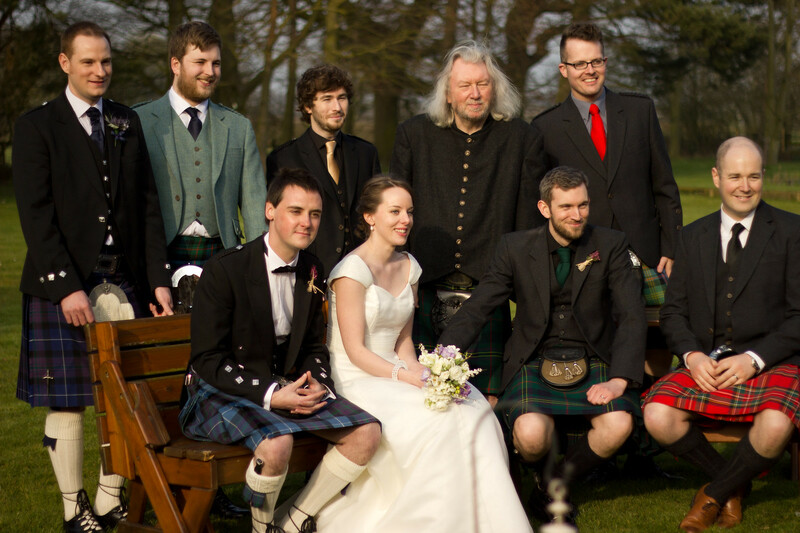 Not only groom wears a kilt in the wedding but also most of the men prefer to wear kilts to keep their traditions alive. Brides usually wear white wedding dress like the rest of the world but also may carry tartan accessories like scarf or handbag. Adaptation is necessary for survival and when you live in a country with harsh weather conditions, it is natural that you also change your dressing habits as well. Especially in rural areas, couples prefer their wedding ceremony to take place in their backyard rather than wedding halls, that’s why they need to bundle up with fur coats, both bride and groom. The hanbok was everyday attire in Korea a century ago but nowadays, it’s worn only on special occasions like weddings and first birthdays. Brides can choose from hundreds of vividly colored pieces even if the most preferred colors are white, red and blue mashups. After the disintegration of the Ottoman Empire, most of the traditions have disappeared and vanished entirely but some of the remnants of those traditions are still kept alive in the eastern part of the country. There is a special ceremony called “kina gecesi” where only women are allowed expect groom – one last feast for the groom’s eyes I guess. Bride and groom wear henna but not as fancy as Indian brides, just a small part of their palm while bride wears a special red dress called “bindalli”.